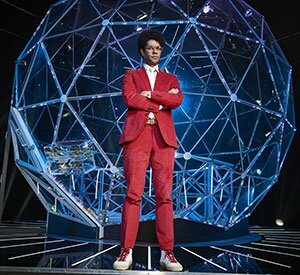 MIPTV: The Crystal Maze could be set for a US remake after the producer behind Facebook’s reboot of The Real World started developing a version of the hit UK gameshow, C21 understands. The format, sold globally by Banijay Rights, first aired almost 30 years ago in the UK and was relaunched in 2017 for Channel 4 by Fizz, part of Banijay Group’s RDF Television. It became a ratings hit that was subsequently extended and C21 understands Banijay’s Bunim Murray Productions (BMP), which is behind Keeping Up With the Kardashians for E! and Lifetime doc Surviving R Kelly, is now in discussions for a US version now in development. The show retains a cult following among fans and requires five contestants, led by an eccentric ‘maze master,’ to journey through a giant set made up of four time zones: Medieval, Aztec, Industrial and Futuristic. In each zone, contestants must tackle a variety of physical, mystery, mental and skill games in a bid to win elusive crystals, which are worth time in the Crystal Dome. At the end of the show, the team use this time to collect gold tickets in a bid to secure a grand prize. It first aired in the UK from 1990 to 1995 and at its peak pulled in six million viewers, while also being remade by networks including France 3. The format was added to the Banijay catalogue in 2016 after the company bought Zodiak Media and it is now being lined up by BMP to be pitched to US buyers. Both Banijay and BMP declined to comment on the news. It would be the latest in a series of veteran formats to return to screens, joining BMP’s own reboot of The Real World for Facebook, which is set to debut over the coming weeks. Last year, Amazon ordered its own version of classic Mark Burnett adventure show Eco-Challenge, while Netflix has rebooted Queer Eye for the Straight Guy. Banijay itself added to its extensive slate in 2017 by acquiring rights to hit reality show Survivor, which is on sale here at MipTV alongside fellow adventure format Shipwrecked. The latter reality show is to be adapted in Germany following its recent resurrection on C4’s youth-skewing network E4, having been produced originally by MCG and Fizz.